Named “Australian Salmon” by early European settlers because they looked similar to the Northern Hemisphere Salmon. 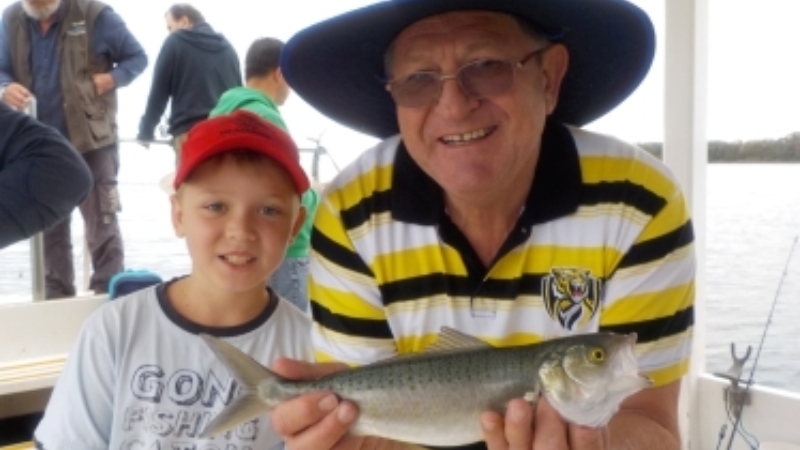 Often called Bay Trout by recreational Victorian fishermen. These fish are not related to the Salmon family but belong in the perch-like fishes order. Australian Salmon are often underutilised and not well regarded by chefs or consumers as these fish are slightly oily. If fresh and handled correctly (that is, bled immediately after being caught) they are moist and very enjoyable. 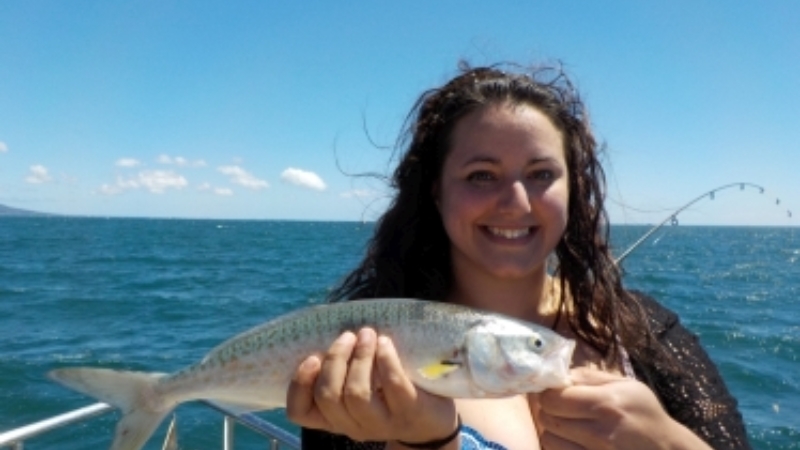 While a primarily a commercial fish (targeted either as a main catch or as a by catch when trawling for Snapper, Mackerel and Trevally) they have become popular with recreational fishermen in recent years. They are high in Omeg-3 fatty acids and the smaller fish (those in Port Phillip) are a higher quality than the larger. This fish has a streamlined robust body with a forked tail, one continuous dorsal fin and large smooth scales. Body colour ranges from greyish green to steely blue with yellow spots and a silver underbelly. The pectoral fins are always bright yellow. Juveniles have a lot more yellowish colouring on their body. Australian Salmon are related to the Australian Herring. They are two of the four members of the Arripidae family that can be found in southern Australian and New Zealand waters. The eastern Australian Salmon are slightly smaller to their western family members in terms of size on how far they travel to spawn. 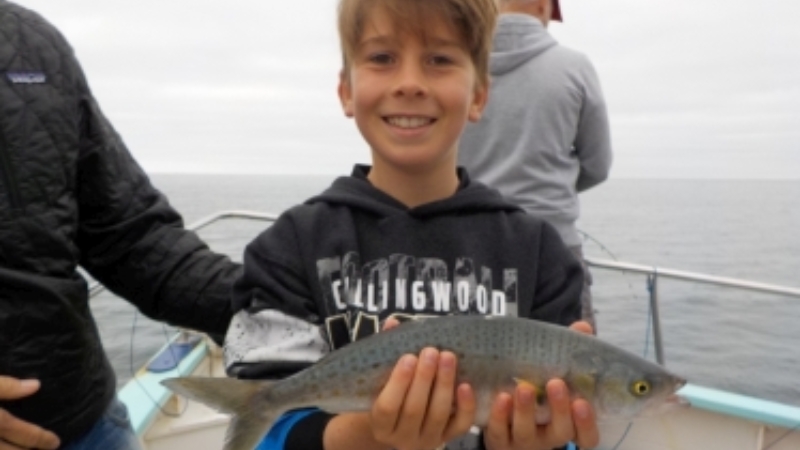 This species grows to around 80cm fork length, but adult fish are rare in Victoria and the eastern parts of South Australia, as the adult fish tend to migrate west towards the spawning grounds as they grow. They are pelagic spawners that release a large number of eggs into open water. They swim in large schools. 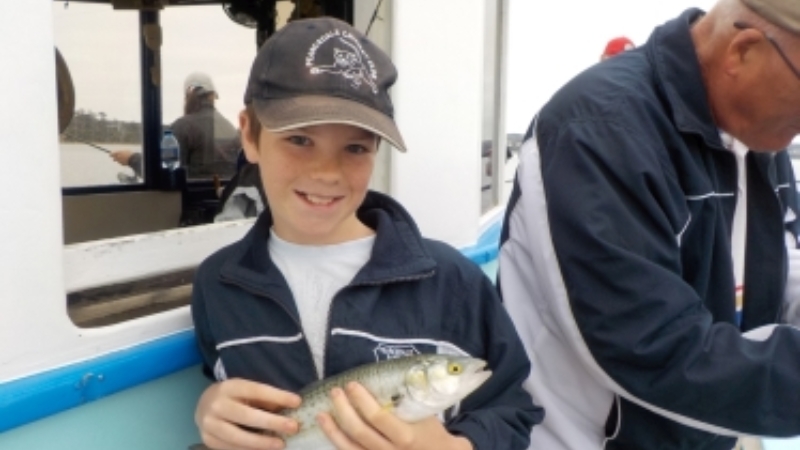 From mid-August to late May the schools of Australian Salmon are seen in Port Phillip. The species are highly visual feeders which eat a variety of crustaceans and polychaetes as juveniles, but shift to bait fish (mainly pilchards, sprats and anchovies) as adults. 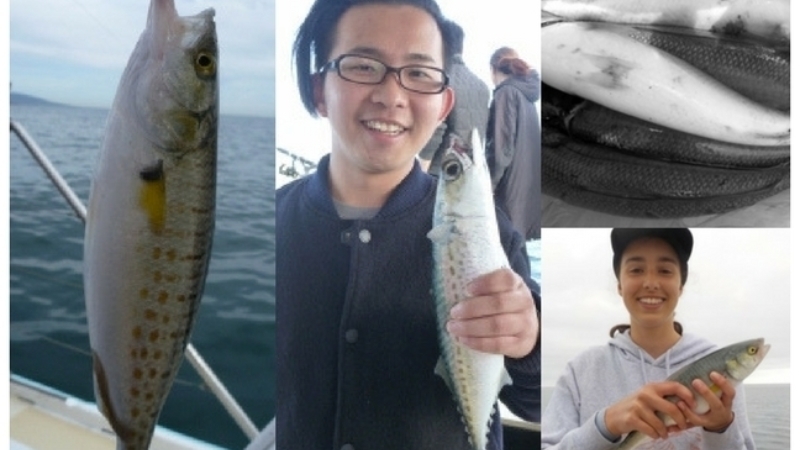 Their voracious feeding, often in large schools, sparked interest from scientists regarding how much they actually eat and whether they exert “top down” pressure on bait fish species lower in the food chain. In turn, adult eastern Australia Salmon were preyed upon by several predators including seals, dolphins and sharks. Feeding salmon schools also migrate long distances and push baitfish up to the surface where they are accessed by seabirds, so all things considered, schools of Aussie salmon play an important ecological role in energy transfer amongst the upper levels of the pelagic food chain in our inshore ecosystems. On board the Plover, when on a charter fishing off Mornington in Port Phillip Bay, we have had the privilege of landing this species on many occasions. It pays to keep a close eye on the surface and investigate any sign of bird activity. Lures and plastics trolled behind the boat are best on an outgoing tide but bait (namely Pilchards) can also work when at anchor if the members of the school think they can get an easy feed. For the angler, they are a hard fighting and exciting fish to catch. To cook this fish, Bay Fish N Trips recommends to wrap them whole (gutted and scaled) in foil and place them on the BBQ grill or to fillet them and use the meat in patties. Tomatoes, onions, garlic and basil are a good accompaniment.